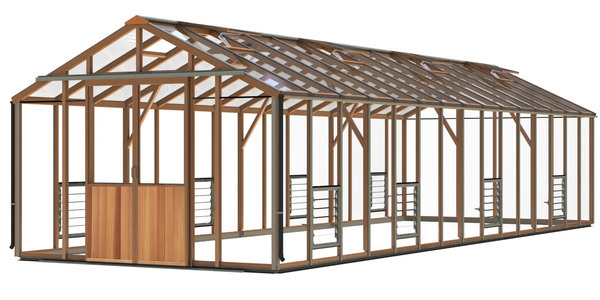 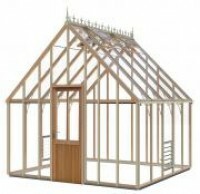 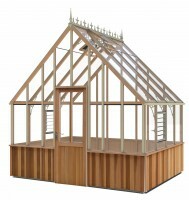 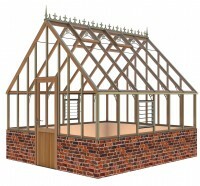 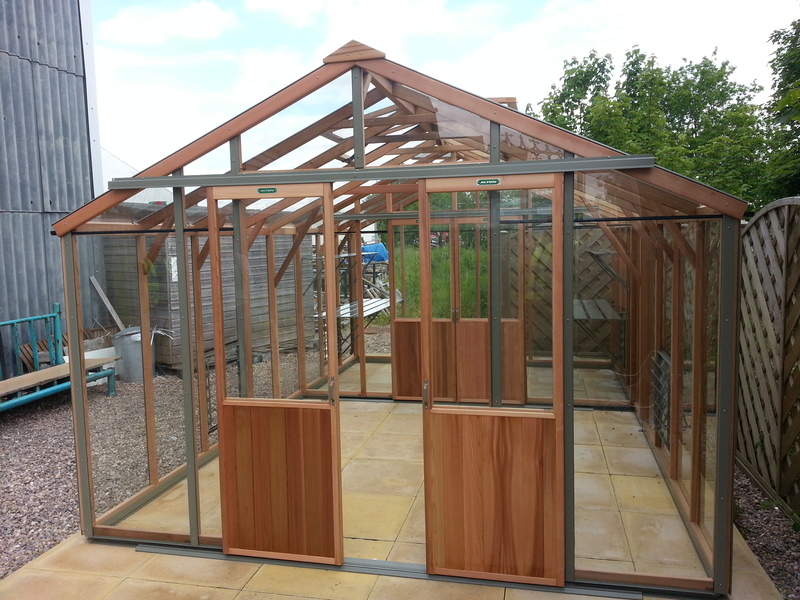 The Cedar frame is based on 44x44 timbers and in the roof we use the extra thick 69x44 making the frame really solid. 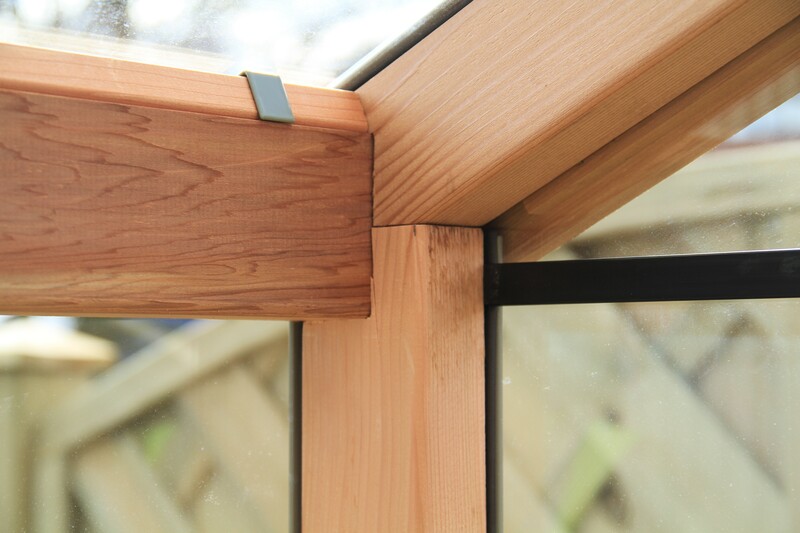 The first thing that you will notice when you walk in is the wonderful Cedar aroma. 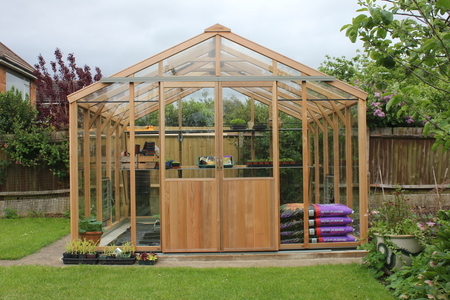 It’s this pleasant smell that deters some insects and pests from the greenhouse and of course the Cedar gives a cosy warm home for your plants. 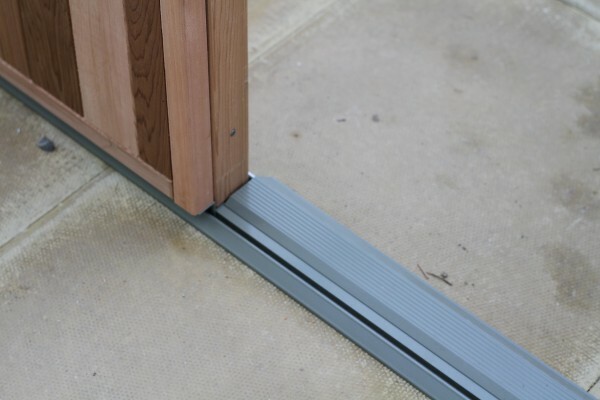 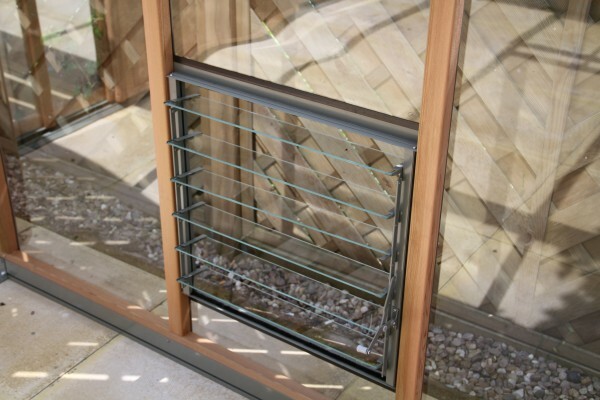 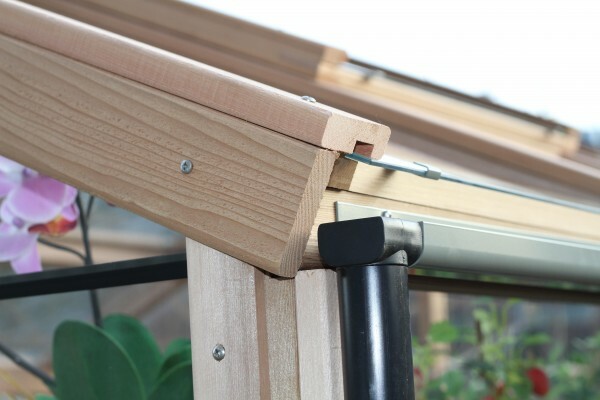 The Alton Evolution Ten comes complete with Metal base plinth, Stainless steel screws, Aluminium Guttering, low level door threshold, Automatic roof vents, louvre side vents, high eaves and toughened glass. 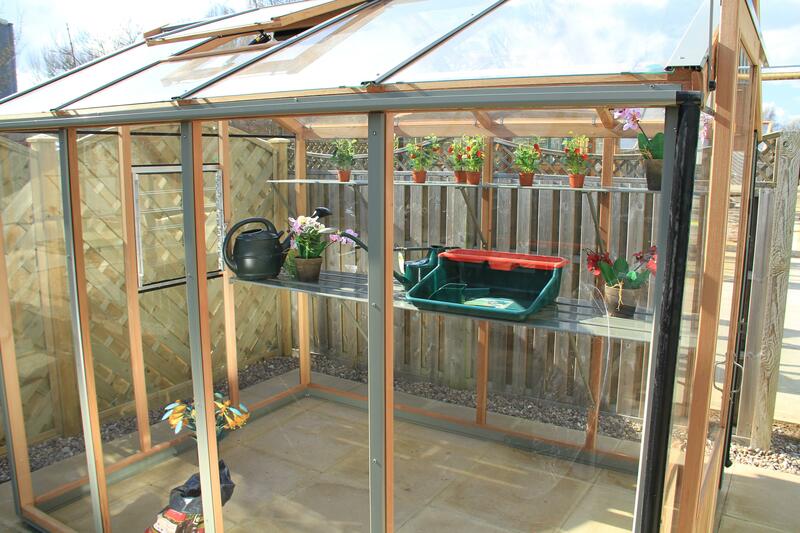 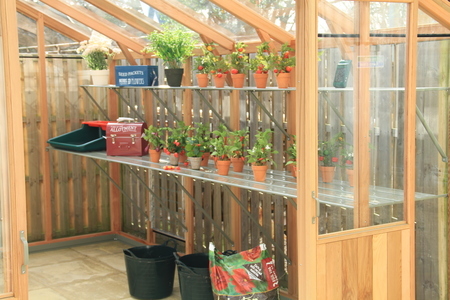 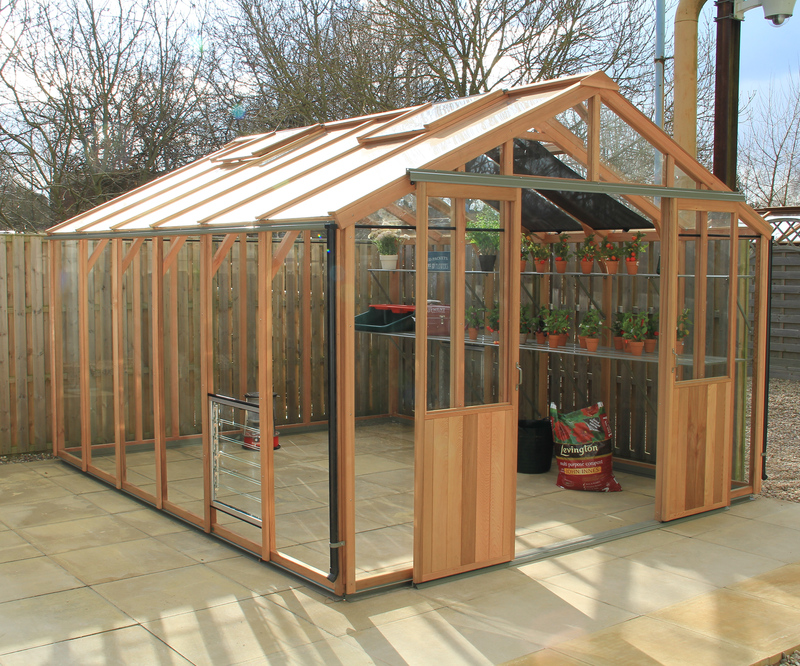 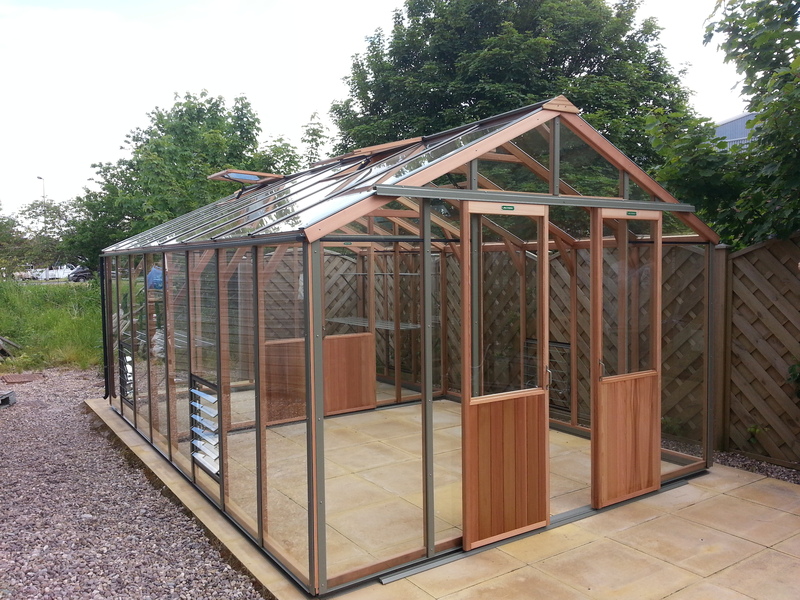 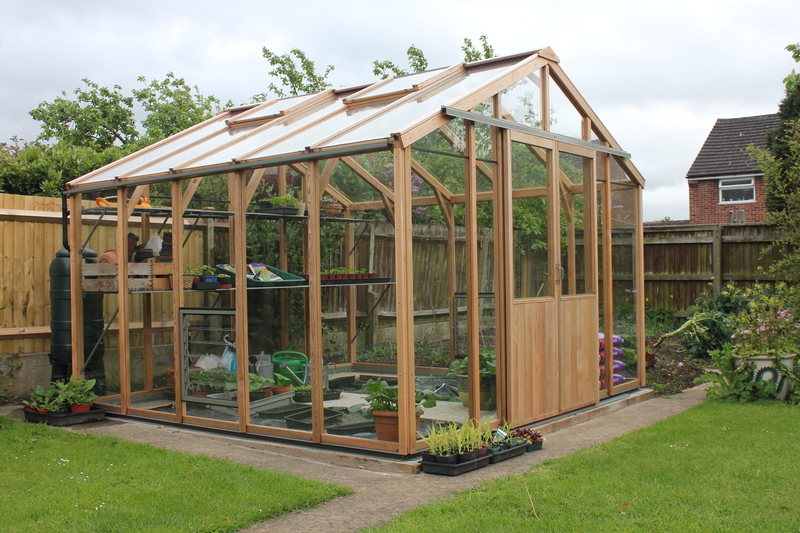 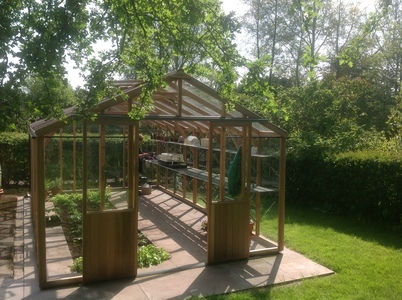 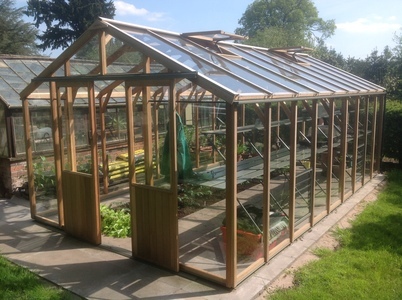 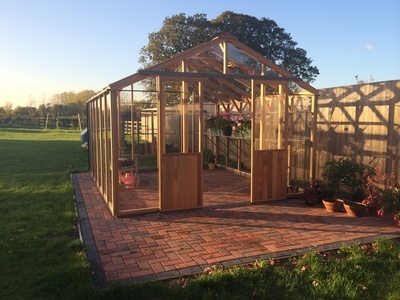 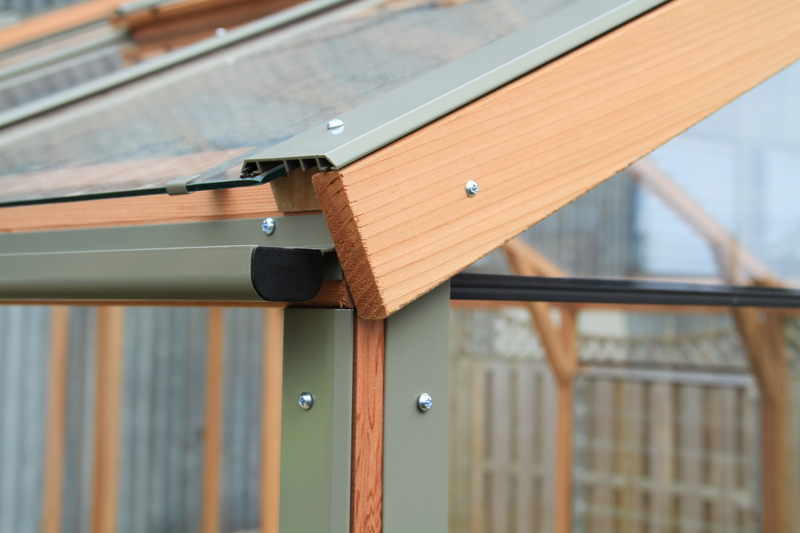 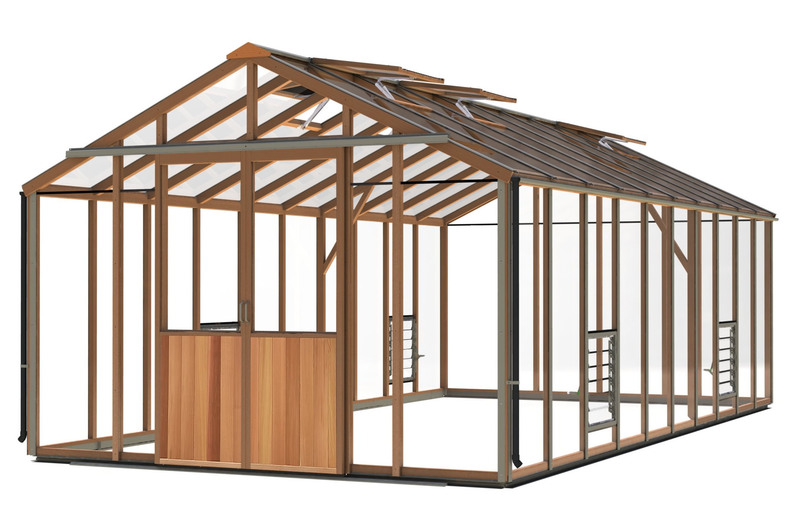 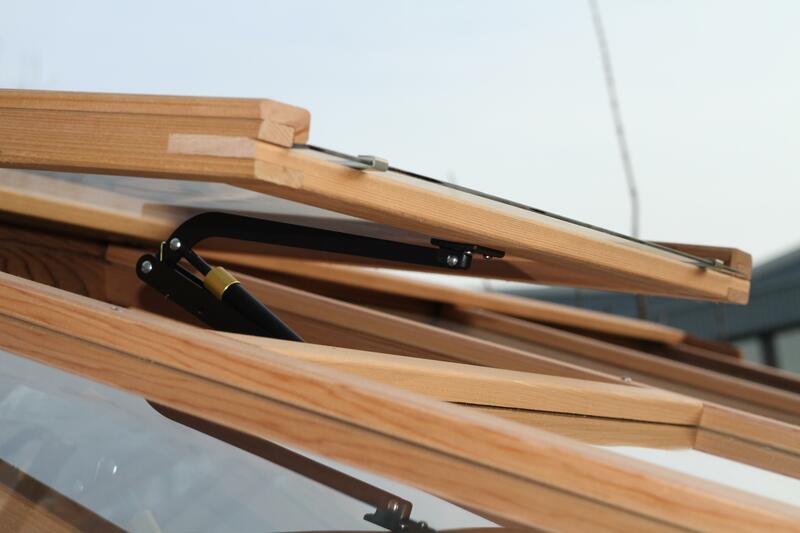 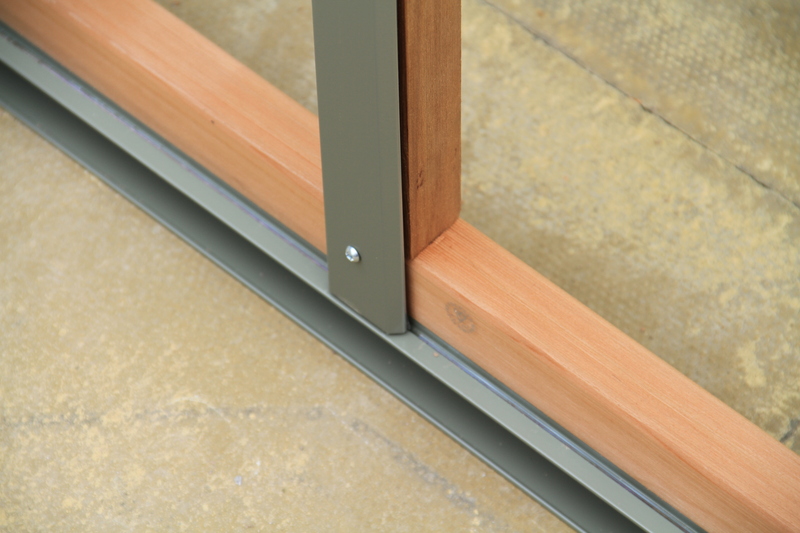 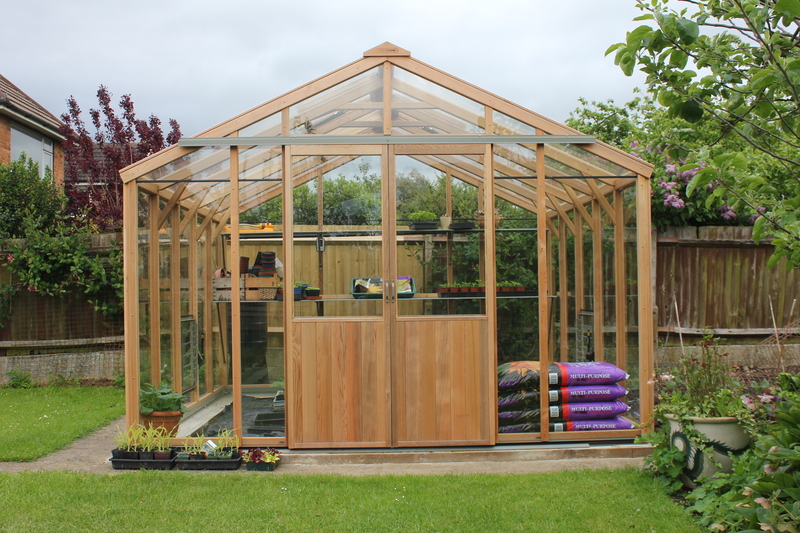 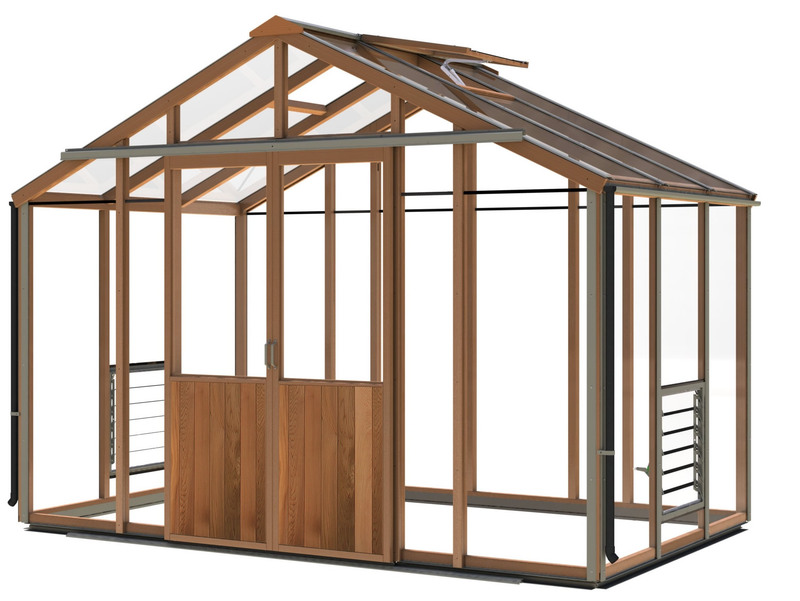 The glass is held in with Cedar bar capping as standard, and you can upgrade this to the optional Aluminium system for a more maintenance free greenhouse.